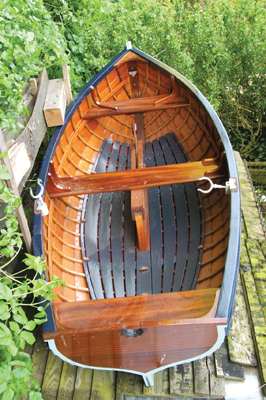 As far as the breadth and standard of skills go, you'd be hard pressed to find a woodworking trade more comprehensive in its scope than boatbuilding - if you can build a boat, you can do a great many things with wood, and to a very high standard. 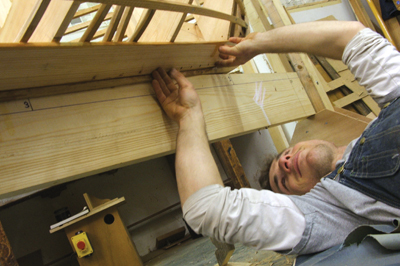 A look at the fantastic courses offered at the International Boatbuilding Training College (IBTC) in Suffolk reflects this, with programmes that range from intensive three-day router courses right up to a full-time, 47-week Practical Boatbuilding course, which teaches an incredible amount of practical skills. 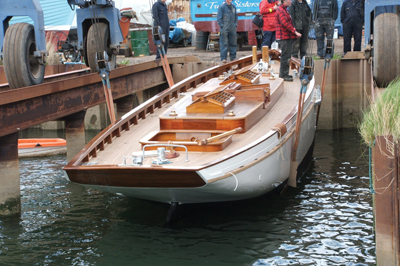 As the IBTC states, training projects range 'deep breath' "From nine feet to 52 feet, canoes and dinghies to sailing yachts and motor yachts; clinker, carvel, cold mould, strip plank and epoxy-sheathed hulls; steamed frames, sawn frames, laminated frames; teak decks, sheathed decks; and 'fitting out' in solid hardwood to cabinetmakers" standards; keel bolts, stern tubes, skin fittings, cleats, winches and chain plates; skylights, hatches, self-draining cockpits and engine boxes; hollow masts, booms and bowsprits; working from plans or taking the lines, lofting and lifting mould and patterns; painting, varnishing, splicing..." Importantly, students are also taught to do all of this while planning costs, with tutors who are themselves successful in the marine industry, so the skills can, before long, pay the bills. The port town of Lowestoft in Suffolk has a strong nautical history. An important fishing town since the Middle Ages, fishing was the town's main industry right up until last century, when, with the increasing popularity of the 'Sunrise Coast' as a seaside resort, tourism became its biggest earner. As the most easterly point of Britain's coast, Lowestoft also has a long naval association; it was the site of a 200-ship sea battle during the Second Anglo-Dutch War in 1665; a significant naval base in both World Wars and the home of the Royal Naval Patrol Service, which was served in by many of the town's fishermen during the Second World War. 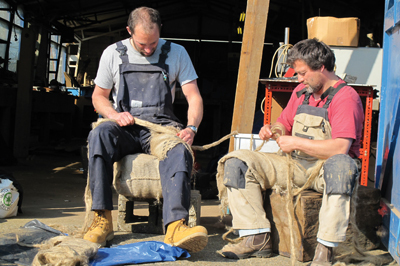 So, what better place to train the next generation of boatbuilders...? 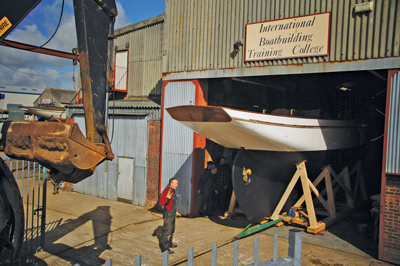 The IBTC was set up in Lowestoft in 1975 with the aim of supplying skilled labour to the Broads boatyards, with a consortium of Broads yards contributing to the initial business. After a few years these contributions dried up, the local yards having met their initial training needs. However, the college remained and started to take students from further afield on its courses. 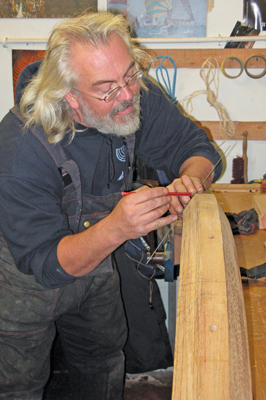 The IBTC have been teaching boatbuilding and joinery ever since. When the owner John Elliott retired, Nat and Gill Wilson bought the business and have now been running it for several years with great success. 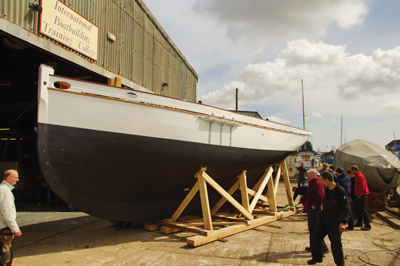 There is, in fact, a global shortage of qualified boatbuilders, so graduates of the IBTC are not only in high demand - their skills can take them to endless locations, too. "Upon graduation students move on to yards in Britain and Europe armed with a solid grounding in traditional wooden boatbuilding." They say, "We are regularly approached by yards for staff and encourage our graduates to keep in touch for support and leads to future jobs." This is an institution that can lead hardworking students straight into employment - a situation that graduates across the country don't find themselves in often enough. 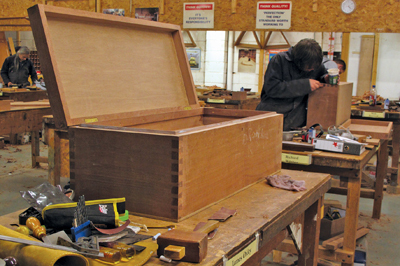 The two full-length courses the IBTC run are Practical Boatbuilding, and Joinery and Furniture. 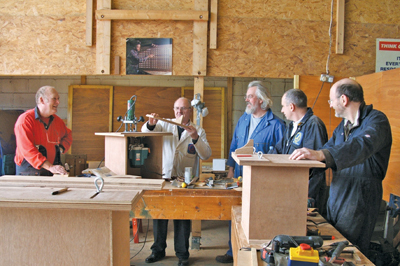 Each are 47-week full-time courses and begin in exactly the same way, with a 12-week course in basic joinery and woodworking skills, which can also be taken as a course on its own. In fact, for those simply looking to learn a specific skill rather than the extensive array that goes into a complete boat build, several aspects of the full-length courses can be studied as independent short courses. 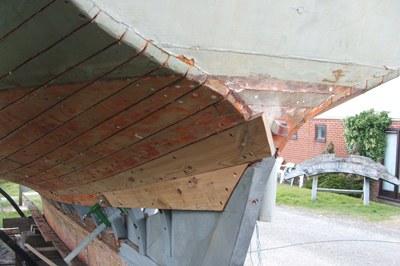 These include include lofting - the practice of transferring technical drawings to scale on a boat's loft floor; caulking - the traditional method of sealing a boat using oakum bails; and even welding, plumbing and electrics can all be studied. If what you're looking for isn't offered, you can even have a course tailor-made. 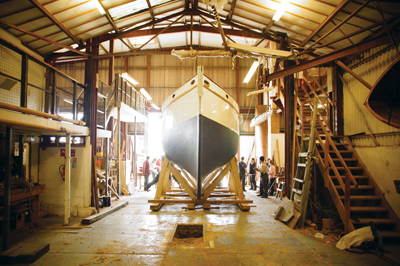 The IBTC does not require students to have any experience in boatbuilding or even in woodwork to enrol: "We are confident that we can train almost anyone who has the motivation to learn," they say. The courses begin with the assumption of students as complete beginners, teaching from the absolute basics up. But those who do already have experience are not held up, they simply go through these initial stages more quickly, allowing them more time and experience at work on the wide array of projects on site, of which there are many. 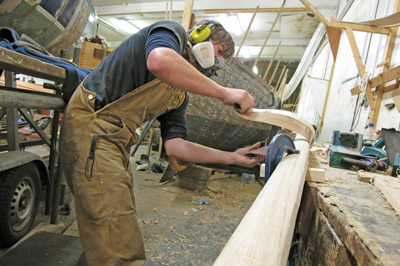 "It's a college but very much a working boatyard as well," says graduate Paul Langham, "There is plenty of variety of real boats to get involved with. 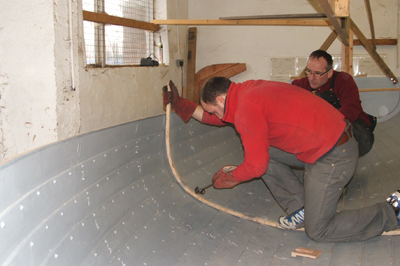 I now have real hand skills and a good understanding of traditional boat construction, and a thirst to learn a whole lot more." 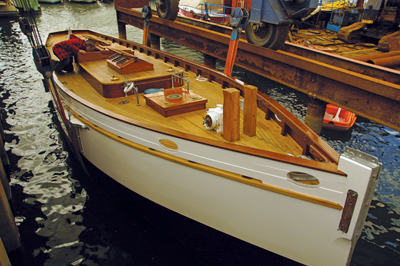 As well as new builds, the IBTC has a huge variety of restoration projects available for students to learn on the job with, including a 6-metre-class yacht made in 1912 by legendary Scottish yacht designer and builder William Fife, the oldest as such of his in existence. The 'International' in the name is no false claim; the IBTC draws students from far and wide, and graduates are accordingly scattered across the globe. Bjorn Adne Kvalvik, for example, quit his job in IT and moved from Norway after visiting the IBTC. "During my visit I became convinced it was what I had to do," he says. "The instructors led me to a level I was very proud of and didn't know I could achieve." Since graduating, Bjorn moved back to Norway and built on his training at the IBTC with a three-year apprenticeship - he now runs his own traditional Norwegian boat workshop. Roman Barnwell, from the US, also left his old life behind to attend. "I was at the University of Montana finishing my degree preparing for a 'professional life'. If you look at my papers spanning my last two years you would see very few notes and drawings of boats all along the margins!" Roman was willing to uproot his life and travel some 4,000 miles to join the IBTC: "I found that their facilities are really unmatched by any other school in the world. 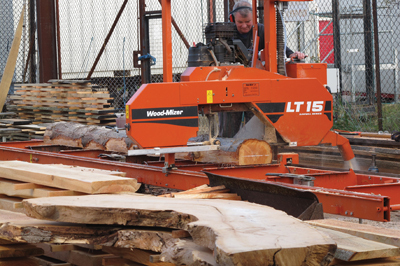 Also the range of projects and quantity of boats make for an experience like no other." He now runs his own boat design, construction and restoration company in Michigan. Not only does the IBTC attract many international students, it also triumphs over institutions further afield when homegrown students are looking for a place to study. Paul Langham looked at many colleges in the UK and worldwide, even as far as New Zealand, but the IBTC stood out as being the best in terms of variety of work, its standards and as a college it is most well respected amongst existing boat manufacturers. The tuition is always of a high standard and I find the direction we get as students helps us reach the high standards we set for ourselves.â€ He said. 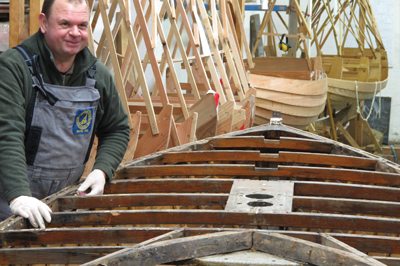 A diploma from the IBTC is just about the best start you can make to a career in boatbuilding - a profession that offers the practical creation of beauty and will take you across the greater expanse of the world's surface - water.